This article was posted on Wednesday, March 9th, 2016 at 2:15 am and is filed under Other News. Like the majority of South American countries, Peru’s official language is Spanish, which was brought to the area by European settlers in the 1500s. Before the arrival of the Spaniards, however, the area we now know as Peru was home to at least 300 aboriginal languages, with some researchers estimating the number might have been as high as 700. Though many of these languages are now extinct, there are still as many as fourteen distinct language families spoken within the borders of modern Peru, a legacy of the country’s rich aboriginal heritage that persists to this day. Of all the unique reasons to visit Peru, getting the chance to hear these languages spoken by the ancestors of the cultures they came from is one of the most rewarding. 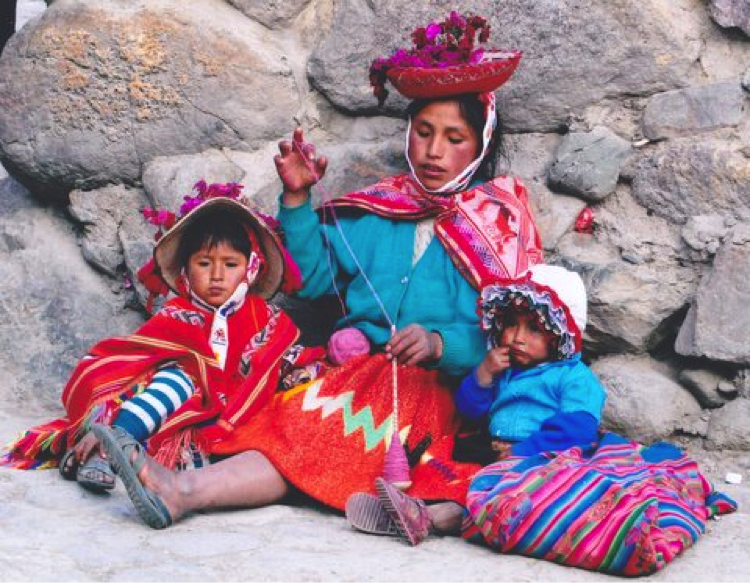 Though few people outside of South America have heard of it, Quechua is spoken by as many as 10 million people, the majority of whom live in Peru. 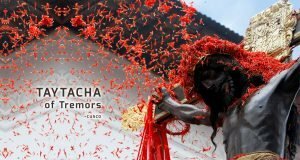 Quechua (also known as runa simi, or “people’s language”) has an important place in Peruvian history, as it was the official language of the Inca Empire. Even after Spanish colonization, Quechua remained the official language of the region, and the main language with which Europeans and natives spoke to each other. Until the late 18th century, the Catholic Church even conducted all of its evangelization efforts in the native language. Though the European powers eventually tried to eliminate Quechua from the official vocabulary, it remains the widest spoken Native American language to this day. While not as widely spoken as Quechua, the Aymara language is still spoken by as many as 3 million people in Bolivia, Chile, and Peru. Taken from the name of a local tribe, Aymara is most heavily spoken in the regions around Lake Titicaca in southern Peru, though in past centuries it was more widespread and may have been almost as popular as Quechua during the time of the Incas. Some linguists and anthropologists even believe that the Incan noble classes were Aymara speakers who switched to Quechua as their empire expanded and the need for a common language arose. Like Aymara and Quechua, the Zaparoan language family was once widespread throughout the area that makes up modern Peru. Unlike those languages, Zaparoan is now in very real danger of disappearing; according to recent reports, only one hundred people alive today still speak the language. As recently as the beginning of the 20th century, there were as many as 39 separate tribes that spoke a variation of Zaparoan, but most of them have since gone extinct due to war, disease, or cultural assimilation. Though it may be rare, it is possible to hear people speaking Zaparoan in parts of southeastern Peru. Though not as endangered as Zaparoan, Aguaruna is another of Peru’s indigenous languages which is now isolated to a small region within the country. Aguaruna in particular is contained to the area of the country along the Marañón River, near Lima. Despite only being spoken by about 45,000 people, there’s little chance that Aguaruna will go completely extinct anytime soon. In the areas where the language is spoken, the local schools hold classes in both Aguaruna and Spanish in order to help the language continue to survive. These four languages are only a small selection of the many native languages that are still spoken in Peru today. Getting the chance to hear these unique, history-rich languages spoken in their native environment is one of the many things that makes Peru one of the most interesting and singular places on Earth. Best Peru Tours offers great deals on tour packages to Peru. To book your trip, visit us at www.bestperutours.com or call us toll-free at 866-788-5647.